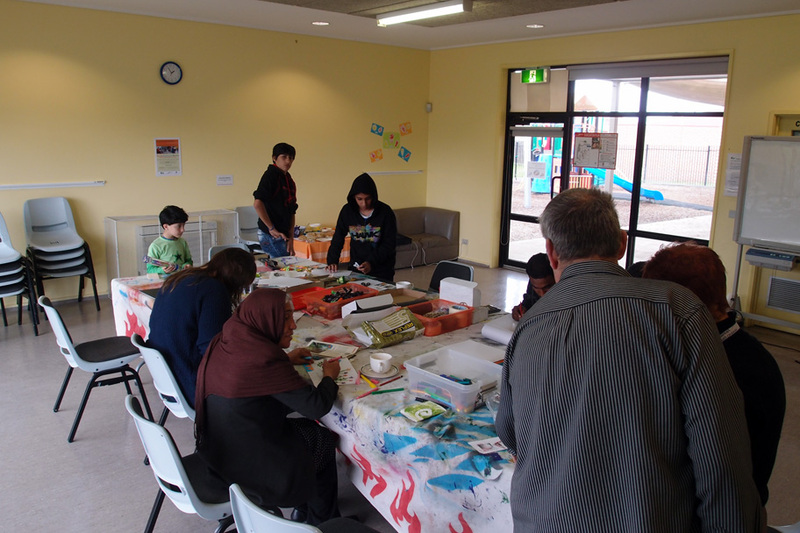 Over the weekend just gone David Dellafiora and myself ran a workshop on zines and making artists books at Cloverdale Community Centre. 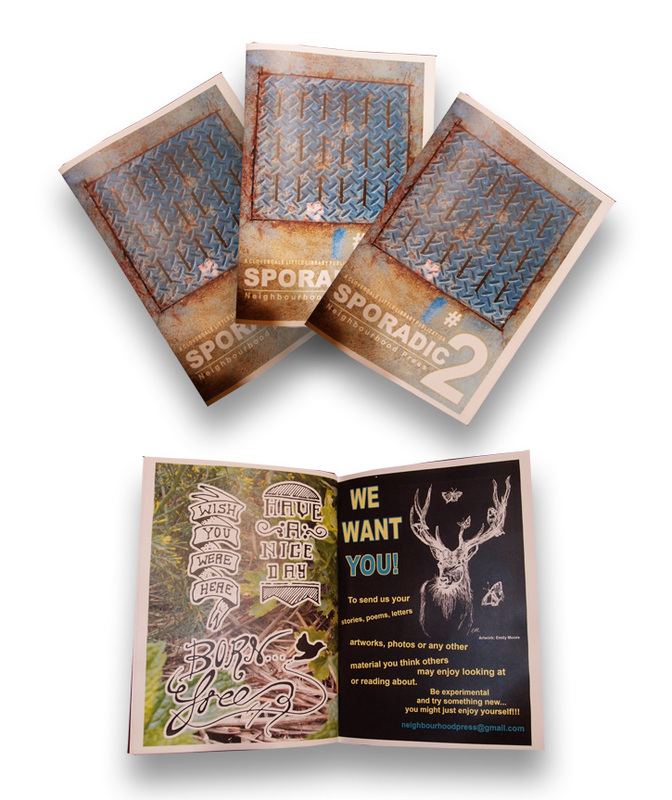 It was a fast paced day but over the day we did manage to produced issue two of Sporadic. It was a fun day enjoyed by all involved and we were very happy with the quality of the finished zine. 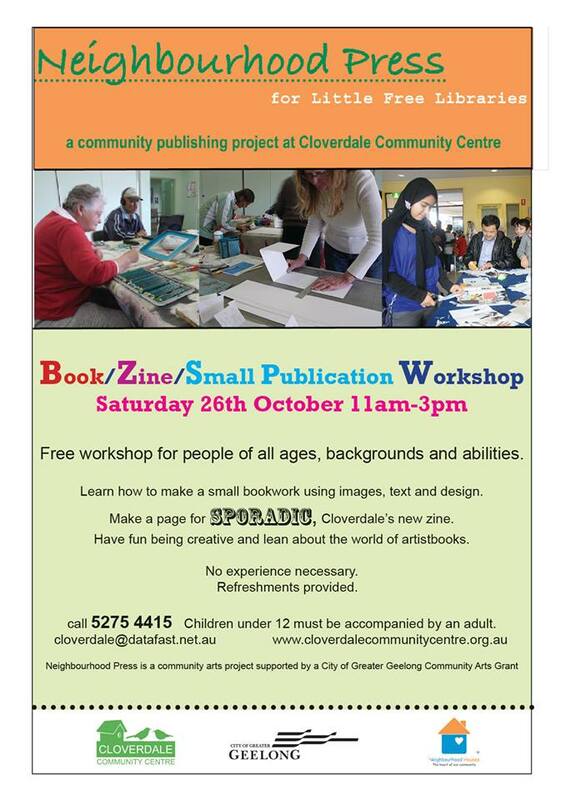 I think there are a few more of these workshops still to come over November so stay tuned or keep an eye on Cloverdale’s Facebook page if making zines is your thing. And while on the topic of Artists Books I saw a copy of the Artist’s Book Yearbook 2014-15 thanks to Dave, which happens to feature three of the books/zines that I have made recently. It was a pleasant surprise as flicking through the book I was unaware that they were in there! 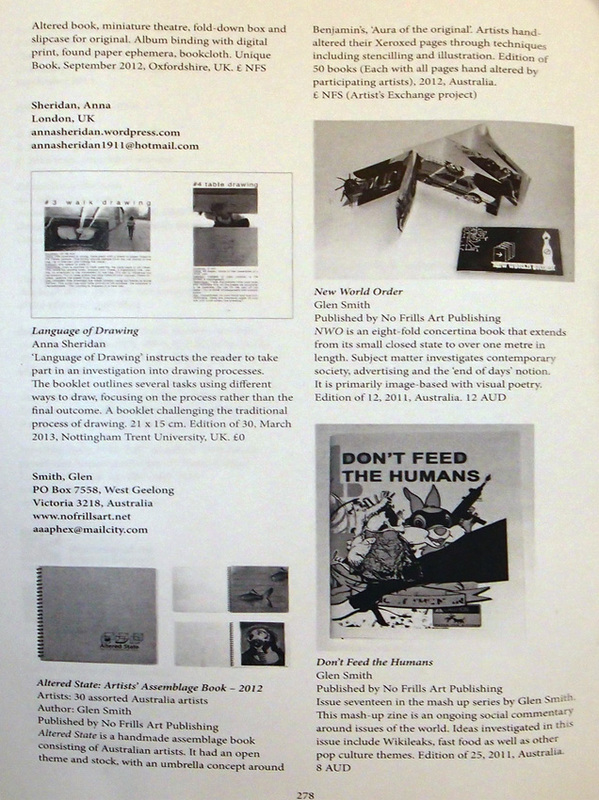 and below are the pages with my work featured…including Altered State, Don’t feed the Humans and NWO. 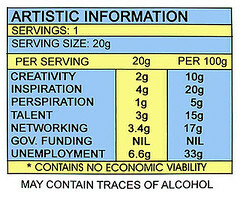 This publication is produced by the University of West England. 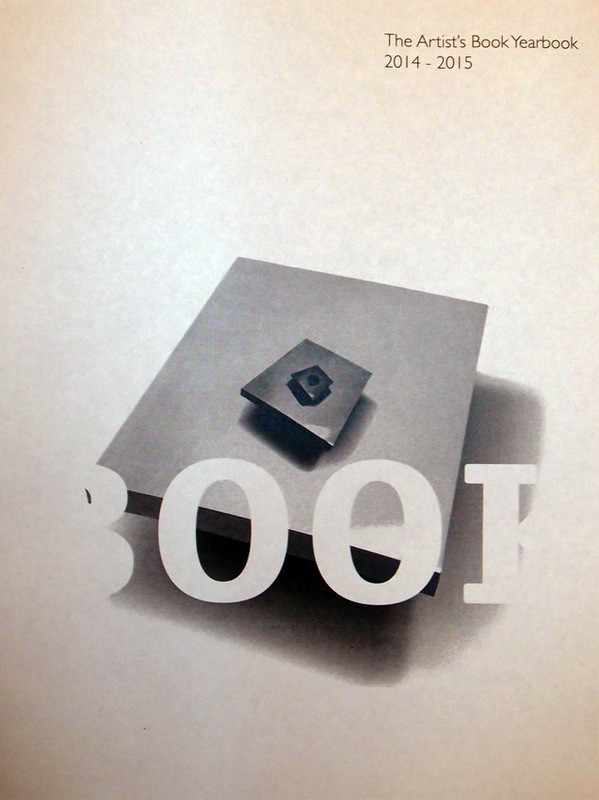 It is 21 x 29.7 cm, 296 pages, black and white offset print. Published September 2013 by Impact Press, UWE Bristol ISBN 978-1-906501-07-5 and are available to order online here. It looks like a great resource book for anyone interested in this field. There is also an excellent article on Field Study written by Sue Hartigan in the publication. So one more reason to get your hands on a copy! 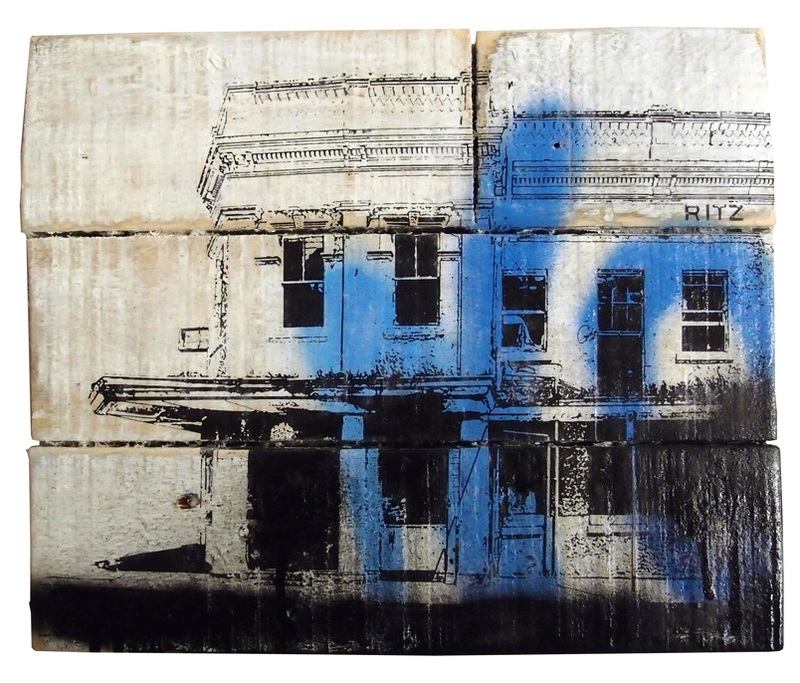 In other news I have an invite to place some works in a show in Melbourne in December and have a few murals that are in negotiation with the city currently…more to come as they all get more concrete! I did an interview with Weekly Review Magazine that may/or may not be coming out this week. So keep your eyes peeled! And over the last few weeks I have got back into the swing of making things with a new mash up zine ready to go to press and new paintings on the go. I have about ten new small mixed media paintings done now, and I am heading towards a new solo show at some point but nothing is set as yet. 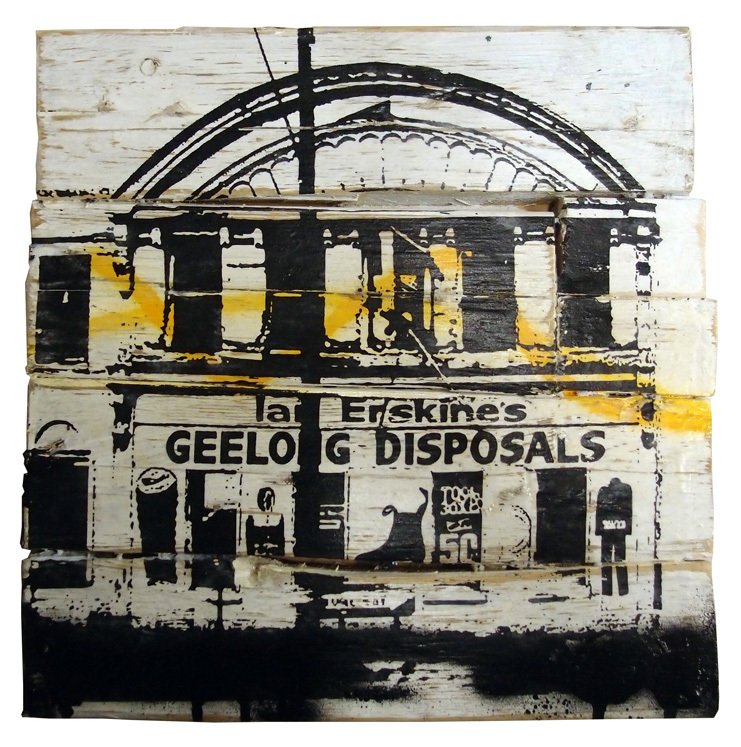 These new works are all on found wood supports and are capturing abandoned buildings and other landmarks in the region. I think that about sums up the last month, or at least everything I haven’t already discussed on the blog previously. Stay tuned as it looks like it may be a busy few months between now and the end of the year. Plant Meet & Eat…Keeping it real! 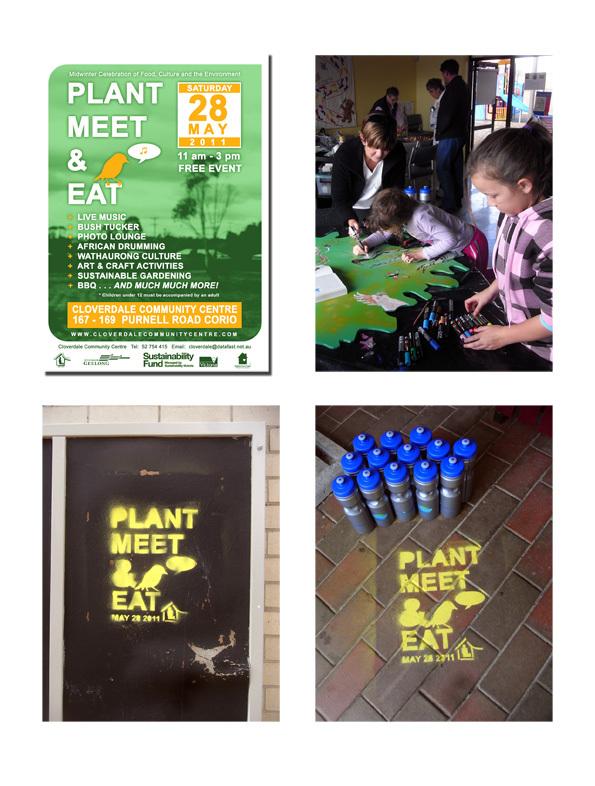 I recently did some graphic design work for the Plant Meet & Eat festival in Cloverdale. Just because you are getting paid to do something a little more commercial doesn’t mean you can’t hang onto your fundamental aesthetics. As a sideline to the design work for the Community Centre, I got them onto a bit of Guerilla Advertising using stencils and temporary line marking spraypaint. By the way if you missed the festival it had a green focus, free sustainable goods to take home as well as native plants and heaps of free food and drink. 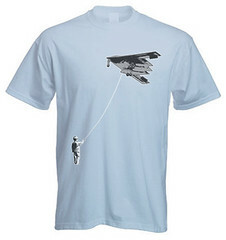 It happens once a year so look it up and head down there next year for a fun day!